Ok, I am totally the worst for spending too much on make-up lately. 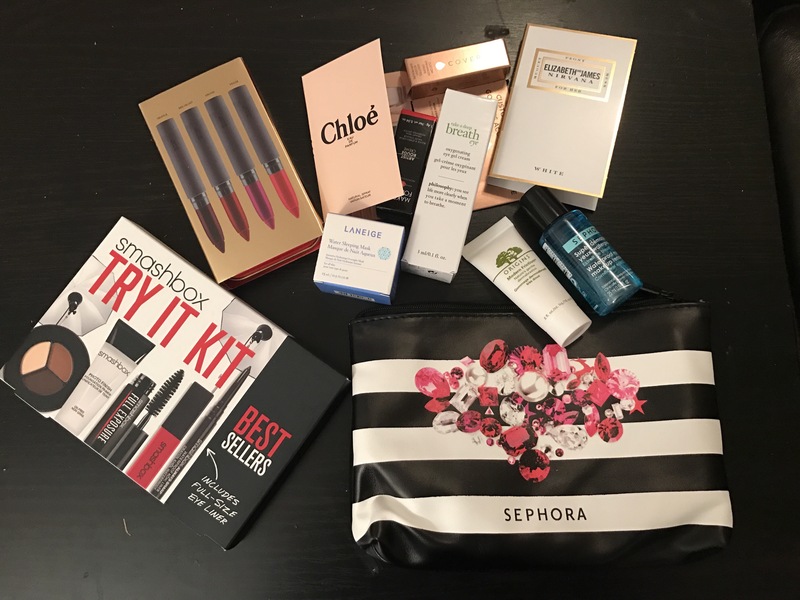 I couldn’t resist grabbing some of Sephora’s holiday kits on Cyber Monday. Plus, they had 4 free sample bags to choose from with purchases over $25 (but let’s be real everything at Sephora is more than $25). I grabbed The Best Bite Redux, a collection of 4 lip crayons and Smash Box’s Try It Kit. They were both awesome deals with products worth more than the set cost. Plus, I got I chose the Sephora Day-of-Soirée Swag Sample Bag which had perfumes, masks and creams for staying young! Now off to decide my holiday party face for tonight!